Although emeralds were mined in Egypt in 330 B.C., the world’s best emeralds are now sourced from mine deposits in Colombia, Zambia, Brazil, and Afghanistan. 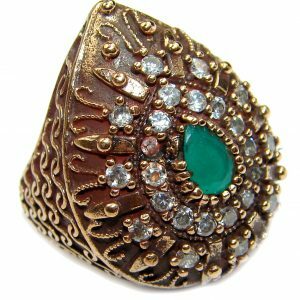 Because there is limited availability of high-quality emerald, treatments are done regularly on these gemstones to improve their clarity. These treatments ensure that the gemstone’s shimmering green color is always reminiscent of the Spring season’s verdant hues. Most of us know emeralds in certain shades of the color green but there are red emeralds that exist, albeit rarely, with very high prices when made available on the current market. This gemstone’s color can range from light to dark green, the result of Vanadium and Chromium replacing Aluminum in parts of its crystal structure. 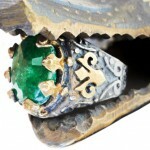 If heated excessively, an emerald has the tendency to lose its natural color. Emeralds have natural imperfections or flaws, referred to as inclusions in the jewelry industry, which can occur even in those that have superior quality. Ironically, an emerald without inclusions is suspect to being artificial. As mentioned, the best emeralds are from Colombia, the world’s largest single producer of these gemstones. Other emerald mines can be found in Russia, Madagascar, and even the U.S. Reportedly, emeralds have healing properties that are effective for health conditions associated with fertility, the eyes, and the spine. 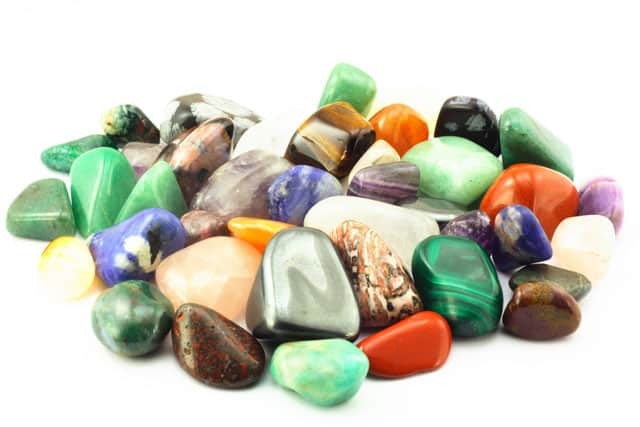 The gemstone’s cool green color is believed to help stabilize the mind, dispel insomnia, avert nightmares, combat symptoms of schizophrenia, fortify the circulatory and immune systems, ward off seizures and epilepsy, stop bleeding, cure fever, and alleviate stomach pain. 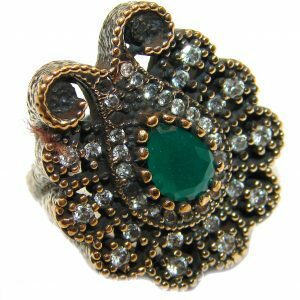 Emeralds are primarily made of beryl, a mineral composed of silicon, beryllium, oxygen, and aluminum. As mentioned previously, emeralds contain trace amounts of vanadium and chromium which give these gemstones their vibrant color. 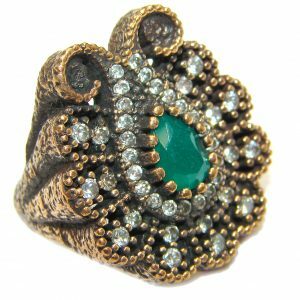 The beautiful green hues of the emerald are attributable to Chromium and Vanadium, which are present in trace amounts during the formation of the gemstone. With a naturally fragile structure, emeralds have prompted jewelers to develop the so-called “emerald cut,” a technique originally used to cut gemstones and crystals to maintain their integrity. The emerald cut has a rectangular shape with several facets to reflect light and bring out the gemstone’s natural beauty. This cut reduces the amount of stress that an emerald acquires. 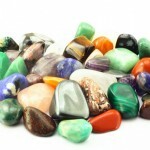 This reduced stress is important in order to decrease the risk for chipping, breaking or cracking in the gemstone. 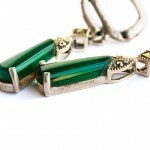 Because of this tendency to get easily damaged, emerald birthstone bracelets are not ideal to be worn on a daily basis. 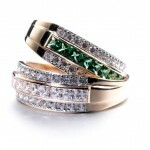 The same principle is often applied when it comes to the everyday use of emerald engagement and wedding rings. Like diamonds, emeralds are valued using the “Four C’s” of color, clarity, carat weight, and cut. Color is emerald’s most crucial parameter. Crystal, or transparency, is next. Superior quality emeralds have to have a shade of luxurious green as well as a high transparency level. Just as the primarily concern for diamonds is with clarity, color is the most important consideration when it comes to emeralds. Similar to diamonds, you must consider the four “C”s when evaluating emeralds. The four “C”s are: Color, Clarity, Cut and Carat Weight. Although, these are the same four “C”s, their order of importance is completely different. 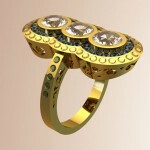 With diamonds, you are primarily concerned with clarity and with emeralds you are primarily concerned with color. Let’s begin with color. The darker shade of green an emerald has the more value it has on the market, albeit some emeralds can have a bluish green color – especially those from Colombia – and yet still be priced expensively. 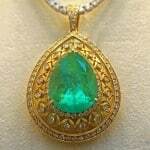 Many opaque emeralds are, in fact, inexpensive but not because they are darker or lighter in color. 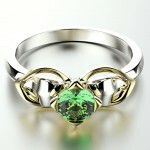 Without brilliance and translucence, however, even emeralds with the darkest green color can be disappointingly cheap. Unlike other gemstones, an emerald has the most number of inclusions, often referred to as “jardin” in French and “garden” in English because of its green color. Given that, the rough of an emerald – between 80% and 95% — requires a large portion to be cut in order to create the gemstone. This apparent loss in weigh is one major factor of the high price of emeralds. Even emeralds created in laboratories have inclusions. The cut of an emerald is characterized by its depth, faceting, width, and shape. Ideally, an emerald will be symmetrically cut with uniform facets to provide it maximum brilliance as well as color. If this cut is made too deeply, light can escape from the sides and make an emerald appear dark. If the cut, on the other hand, is made too shallow, light becomes lost at the gemstone’s bottom and the emerald’s brilliance is diminished. Carat weight, surprisingly, is the factor that is least determinant of an emerald’s value. Emeralds are sold by their weight, the reason a cutter is required to save as much of their weight as possible. The shape of an emerald’s rough also pre-determines its final shape after it is cut. More material is wasted when cutting emeralds into round shapes. This explains why the rectangular “emerald cut” is preferred. 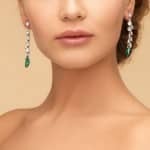 To get value for your money and enjoy your emerald birthstone jewelry, you just have to remember this summary: the color should appeal to you personally. Other options are available but you don’t necessarily have to go for those that are astronomically-priced unless you are willing or have the budget, to make the kind of investment an emerald requires. The less inclusions that are visible in an emerald, the better and more valuable it becomes. Just avoid emeralds with highly visible or extremely large fractures on the surface which can weaken the structure of these gemstones and increase the risk for their potential chipping, breaking or cracking. 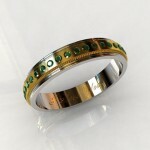 Again, let it be said that emerald rings and bracelets should not be worn on a daily basis because of this risk. A good cut will enhance the emerald’s overall appearance while an inferior one can easily diminish it. The cut should also be polished and well-proportioned. As to carat weight, note that a two-carat emerald is very difficult to find; moreover, this rarity results in a considerable increase of its price. When buying an emerald birthstone piece of jewelry, clarity, cut, and color should be considered before carat weight.